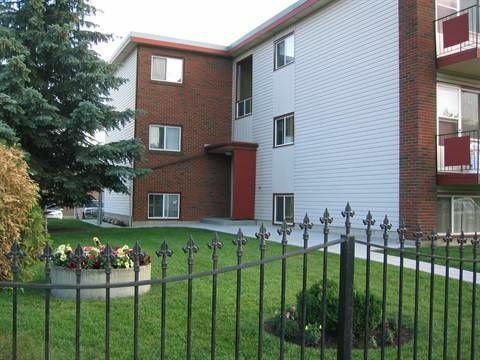 This spacious 2 Bedroom ground floor suite is Big, Beautiful, Safe and Secure, and won't last. Close to the LRT and BUS routes only steps away!! Just completed 10K in renovations! You will fall in love with your new home at first site and be proud to call this fantastic suite - HOME!! You will be able to really relax after a long days work, and enjoy your apartment. Pictures may be slightly different than actual but comparable. This is an adult only building. $500 Bonus for 1 year lease! Conditions Apply. Enjoy the peace and quiet of this wonderful neighbourhood. This huge 2 bedroom suite with its open & spacious layout has lots of room to relax and unwind after a long day at work. * Contact Atem at 403 612 6237 to schedule a viewing. Londonberry Mall is located close by, and you have Delwood Park, Belvedere Park and Baldwin Park all close at hand. Our focus is to provide you with a home you're proud of ... with tremendous customer service, the best managers in town, and ... all amazingly affordable. We are so sure that we have just what you're looking for that we take this liberty, now to say "Welcome Home".